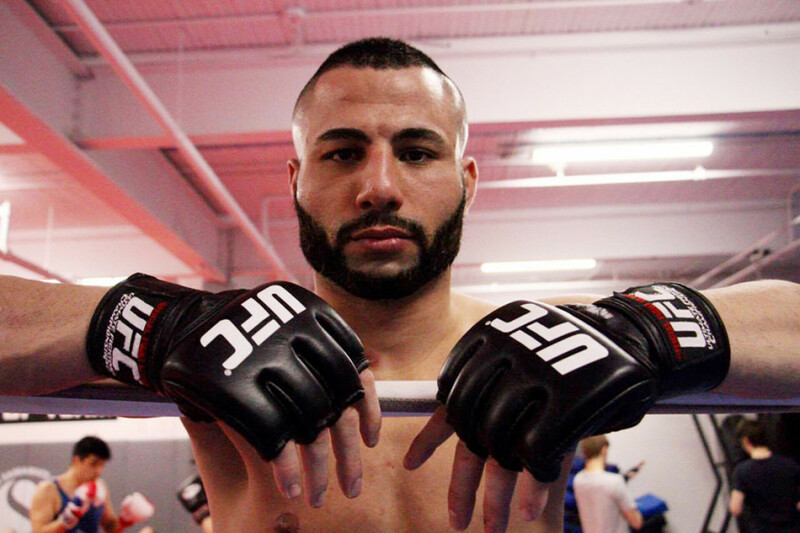 “I can’t stop sweating,” said John “The Bull” Makdessi, a Mixed Martial Arts fighter, as heavy bags thudded and snapped at Tristar Gym in Montreal. He has been blinking every few seconds because of the sweat dripping down into his eyes. Makdessi is fighting in the Ultimate Fighting Championship, the largest promotion in the sport of MMA. While sweating profusely might seem like a problem for most people, this is exactly what he wants. He needs to bring down his weight in order to fight at 155 lbs while naturally weighing 180 lbs. He does this by weight cutting. In December 2015, MMA fighter Yang Jian Bing died at the age of 21. But this death didn’t take place in the ring. It came from cutting weight. In combat sports such as MMA and boxing, athletes compete by weight classes. Few athletes actually compete at their natural weight though. Instead, they “cut” pounds in order to make the requirement. Bing was trying to trim down his natural weight, to the point where he could gain strength and size advantage over his opponent. But he went too far, causing dehydration and a suspected heat stroke. Weight cutting has a checkered history in combat sports yet reform is on its way in some places. ONE Championship, an MMA promotion company based out of Singapore, has recently implemented a series of new measures designed to ensure the safety of fighters cutting weight, which included banning weight loss by dehydration. Along with superior dieting and nutrition knowledge, Makdessi now uses a method referred to as “water-loading” in exercise circles. This method involves an athlete drinking massive amounts of water at the start of their week. They then gradually reduce the amount of water with each passing day until weigh-ins, where they drink no water at all. Athletes also avoid sodium, sugar and carbohydrates during this period. Instead, it’s preferable to eat protein-rich foods and vegetables like spinach or broccoli. Cutting weight properly didn’t always come easily for Makdessi. Though he has been competing in MMA since 2008, he didn’t always have the system he has in place now for cutting weight. “I was horrible,” Makdessi recalled, saying he didn’t eat properly and focused too much on cardio. Concordia University wrestler Francis Carter has seen how weight cutting can go wrong. “Some guys are all sunken out, you can literally see the shape of their skull,” says Carter. He usually avoids dramatic weight cuts, but he just underwent his largest weight cut for the 2016 Junior/Senior Canadian Championships held in Fredericton, N.B. on March 18. Carter had to cut 13 to 15 lbs. He didn’t use the old method of slapping plastic suits on and biking in a sauna to lose weight. Carter just drank a little more water and ate “cleaner” than he normally would have—like the pros would do. Many athletes have started to think of alternative ways to make weight that don’t involve putting their bodies through hell. This has led to companies setting themselves up as the nutritional guides for fighters. One of these companies is Nutrition Performance based is the southwest of Montreal. Founded in June 2014 by two graduates from the Université de Montreal, the company aims to help athletes with their diet plans and nutrition. One of its founders, Catherine Naulleau, has worked with Quebec’s Judo team and other athletes on their meal plans in preparation for competition. In the week leading up to a fight, Naulleau recommends meals of low carbohydrates, high protein foods and large amounts of vegetables. Chicken, turkey, and cabbage soup can all be found on the menu of an athlete cutting weight. Naulleau is skeptical of some athletes who cut tremendous amounts of weight—sometimes reaching up to 25 lbs—and gain it right back after weighing in. While Naulleau is aware that many MMA fighters use the water-loading strategy, she’s not entirely sure it’s a good strategy to cut weight. “There’s some researchers saying that it is an extremely dangerous practice and there’s others that say it’s very helpful,” Nalleau says. Taking a hot bath is another alternative. Just by soaking in a hot tub for a few minutes could have great effects and allow the athlete to sweat it out and relax their body at the same time. “Hot baths are probably something that athletes don’t realize how efficient it can be to cut weight,” Naulleau remarks. Weight cutting shouldn’t be the hardest thing about combat sports but it just might be. 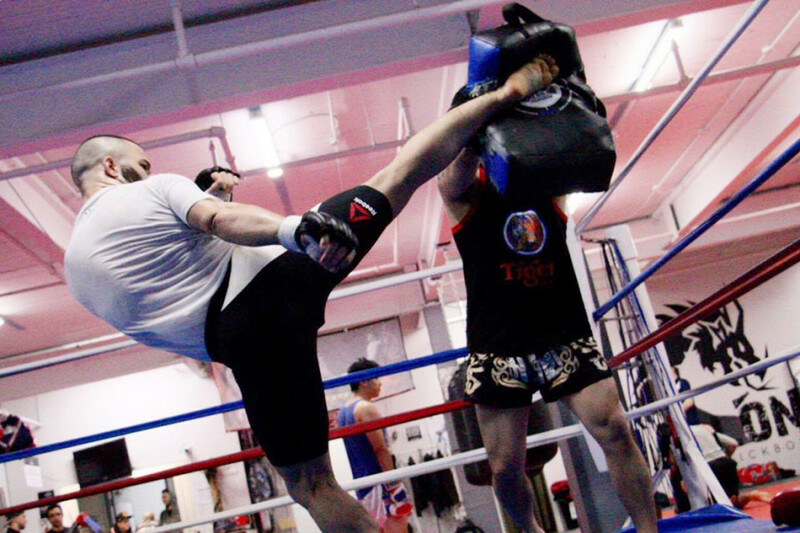 Fighters sometimes train for years on their striking, grappling and slamming barbells in the gym but nothing can quite prepare them for the final step before the fight.